The E-Song Board Display was designed to complement the church without taking away from the sanctity of worship. Up to six hymn numbers may be displayed at one time. Hymn numbers and a choice of two hymn book icons are selected by numeric keypad. Background and hymn number font colors may be selected using the same numeric keypad. 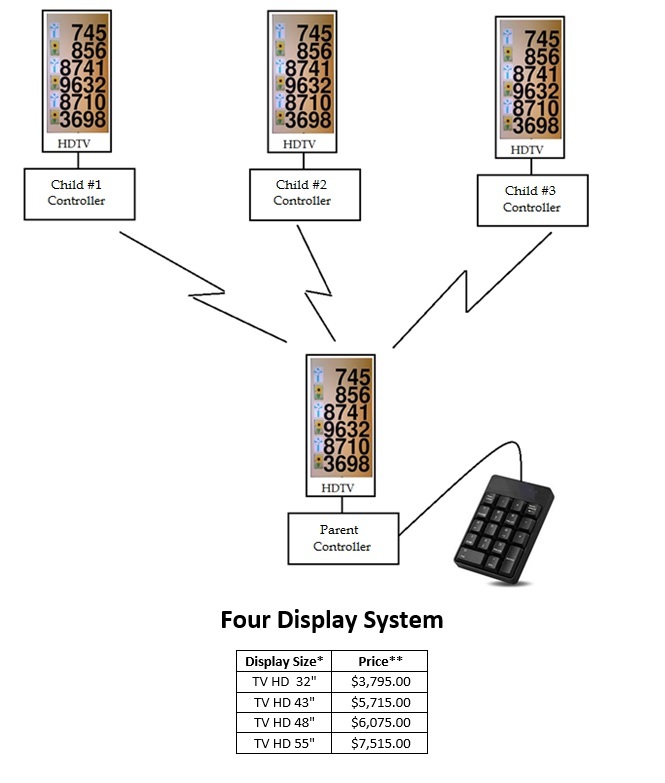 Below you see different configurations of the E-Song Board Displays with estimated pricing. Also available from Heavenly Songs Displays is the E-Single Song and the E-Single Turn Displays. These displays are for music ministers that prefer to only display one hymn at a time. These two products have similar features of entering hymn numbers and hymnal icons. 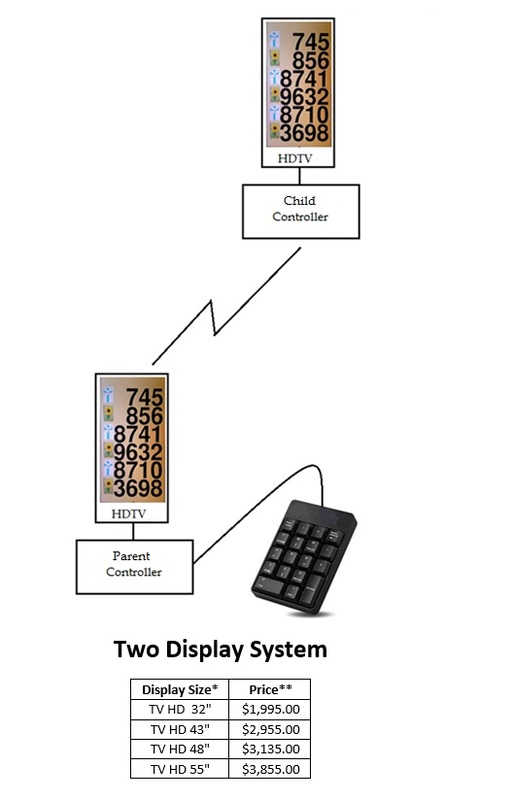 They can also change the display color scheme similar to the E-Song Board display . 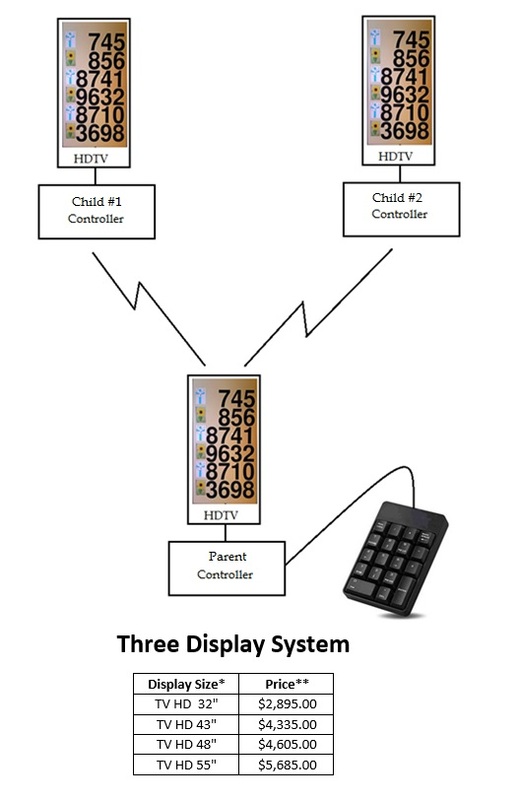 Both these displays are offered as an alternative to the three and four digit LED displays. The E-Single Song Display will allow entry of up to 10 hymns before the start of the service. The list can then be walked through by hitting the Entry key on the keypad. This makes for a fast and easy way to go to the next hymn on the song list. 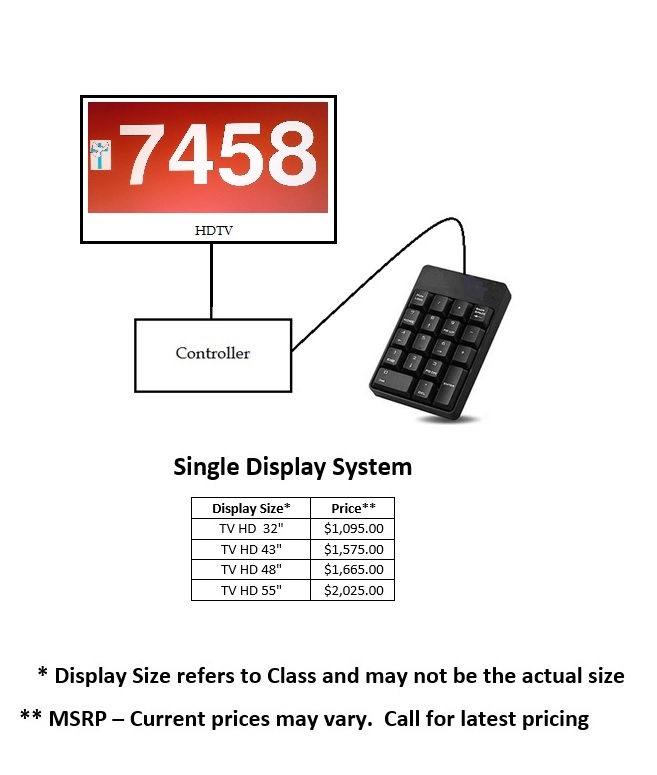 This product can also connect with the E-Song Display. The song list will then be displayed on the E-Song Display. Using this configuration gives the congregation prior notice of the hymns to be sung while the E-Single Song Display shows the next hymn to be sung. The E-Single Turn Display is meant to be a direct replacement for the standard three and four digit LED displays. The E-Single Turn Display has the added feature of the two different book selections not found on the LED displays making it a step above. 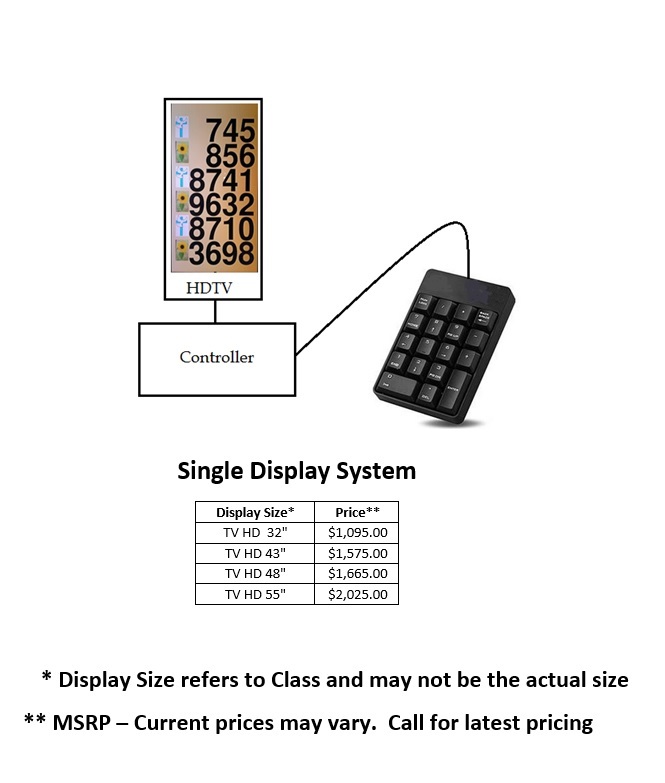 Below is a E-Single Song Display with pricing information. The E-Single Turn Display has the same look and feel as the E-Single Song Display.